Here is a brief excerpt from an article by Maria Konnikova for The Atlantic. To read the complete article, check out others, and obtain subscription information, please click here. The perfectibility of the human mind is a theme that has captured our imagination for centuries—the notion that, with the right tools, the right approach, the right attitude, we might become better, smarter versions of ourselves. We cling to myths like “the 10 percent brain”—which holds that the vast majority of our thinking power remains untapped—in part because we hope the minds of the future will be stronger than those of today. It’s as much a personal hope as a hope for civilization: If we’re already running at full capacity, we’re stuck, but what if we’re using only a small fraction of our potential? Well, then the sky’s the limit. But this dream has a dark side: The possibility of a dystopia where an individual’s fate is determined wholly by his or her access to cognition-enhancing technology. Where some ultra-elites are allowed to push the limits of human intelligence, while the less fortunate lose any chance of upward mobility. Where some Big Brother–like figure could gain control of our minds and decide how well we function. What’s possible now, and what may one day be? In a series of conversations with neuroscientists and futurists, I glimpsed a vision of a world where cognitive enhancement is the norm. Here’s what that might look like, and how we can begin thinking about the implications. In many ways, we’re already living in a world of constant neuroenhancement. There’s methylphenidate (a k a Ritalin), intended to treat ADHD and narcolepsy and now used by test takers and paper-writers the world over. In controlled trials, the drug has been shown to improve memory, concentration, and motivation in individuals who have no cognitive impairment. There’s modafinil, developed to treat narcolepsy and other sleep disorders. In people who have gotten a full night’s rest, it has been shown to increase executive function, memory, and attention—and in those who have gone without much sleep, it has helped stave off symptoms of sleep deprivation. There’s also donepezil, developed to treat Alzheimer’s. Like other anti-dementia drugs, it has been shown in clinical trials to improve both verbal and procedural memory (the memory we use to perform a complex set of actions, like driving a car) in healthy individuals. None of these, of course, is the mythical “smart pill,” a supplement we could take to instantly boost our IQ by 10 points. Instead, each targets specific components of intellectual output: memory, concentration, motivation. And sometimes those functions come at the expense of others. Increase concentration with Ritalin, for instance, and your creativity could suffer. 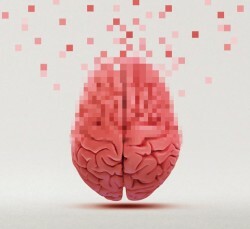 But the day may come, says Guoping Feng, a neuroscientist at MIT, when we understand neural mechanisms well enough to design personalized pills that can bolster your particular strengths and minimize your weaknesses. Several biotech companies are looking to do just that. The idea of using electric currents to change brain function is not new—the electroconvulsive therapies of yore were based on the concept—but in recent years we’ve gotten much better at controlling where that current goes and how much of it is administered. Today’s electric stimulation is the fine watercolor to electroshock therapy’s finger painting. The most common approach, transcranial direct-current stimulation, or tDCS, involves applying a small current to the scalp in order to modulate brain activity. It has gotten a lot of attention lately, and with good reason: In several recent studies, tDCS appears to improve concentration, problem-solving ability, and working memory (which enables us to hold in our minds the information we need to carry out a complicated task). The effects can last anywhere from 30 minutes to two hours. 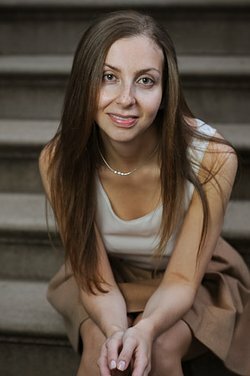 Maria Konnikova is the author of Mastermind: How to Think Like Sherlock Holmes and the forthcoming book The Confidence Game: Why We Fall for It… Every Time. She is a contributing writer for The New Yorker, online. To check out her articles, please click here.